The Aspen room will delight and enchant you with it’s charming decor. 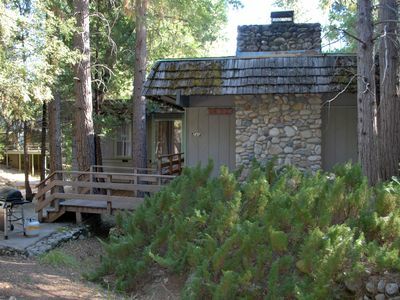 This room is located at the Peregrine Lodge in Yosemite West just 20 minutes from the valley floor. Each of our rooms have a private entrance with private shower & bathroom, outdoor deck, custom wood burning fireplaces, and more. Please note we are not a bed and breakfast. However, we do have an on site manager who is available for information, advice on the park, keeping the snow clear, sharing adventure stories, or just staying out of the way and giving you all the privacy you want. 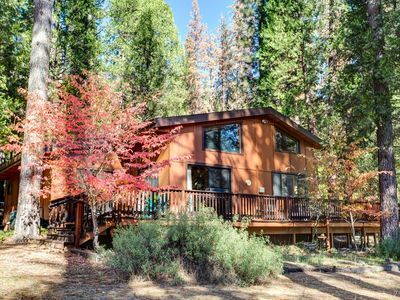 For those of you who love the fall and winter in Yosemite you will love the easy access to snow and snow activities. We are only 20 minutes by car to the Badger Pass Ski Area for cross country, snow shoeing, snow play, and downhill skiing. On large storms cross country ski right out from the lodge. At just over 6000 feet our lodge will get more snow then the Valley itself. If you want have a higher probability of being in the snow you will want to be in Yosemite West. 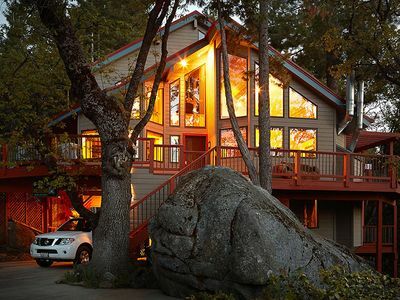 The benefits of staying at our home inside Yosemite National Park are many. By actually being inside the National Park gates, you avoid the long lines going in and out of the entrance stations. At peak season this can be an hour or more wait time just to enter the park. 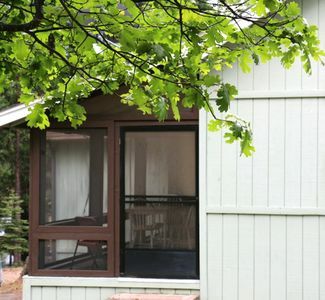 This allows you to experience leisurely mornings enjoying the peace and solitude of our quiet community before taking off to see the many attractions in the park. Returning from a day of rigorous hiking and sauntering in the valley? Ice skating at Half Dome Village? Cross country skiing on our groomed and un-groomed trails? or Down hill skiing at the local ski resort? 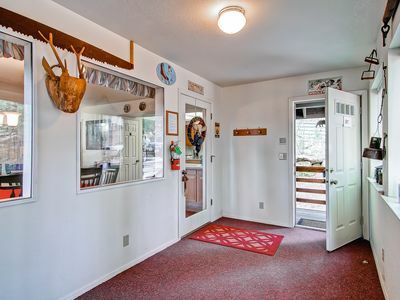 You will be happy to know home is just a short drive away. 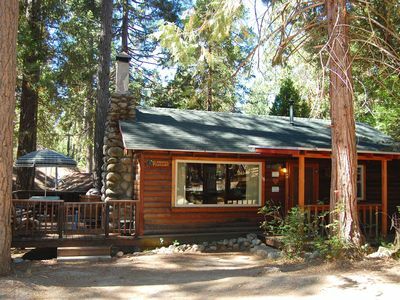 We offer a clean, well maintained lodge that is the ideal home base for your Yosemite experience. Please, no smoking, no pets. We have no current reviews as we have not rented individual rooms before now. 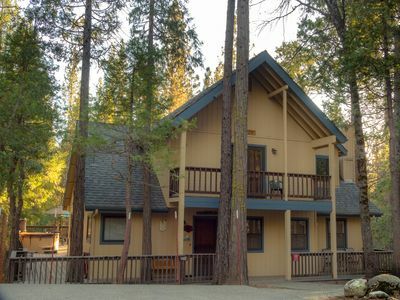 If you are interested in reading reviews posted on our lodge please go to our VRBO webpage for property listing #457369, The Yosemite Peregrine Lodge. We have been hosting guests since 2014. The distance from Yosemite West to famous landmarks are: Badger Pass Ski Area 6.5 miles (10,5 km), Tunnel View 8.3 miles (13,4 km), Bridalveil Falls 9.8 miles (15,8 km), Big Trees Hotel 12.4 miles (20 km), The Majestic Yosemite Hotel 15.9 miles (25,6 km), Glacier Point 16.2 miles (26 km) and El Portal 21.7 miles (35 km). 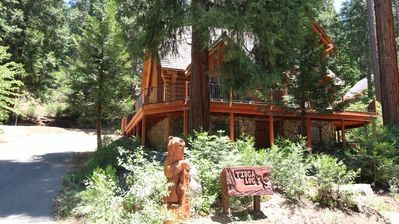 The Yosemite Peregrine Lodge is a multi-level 3200 square foot home. 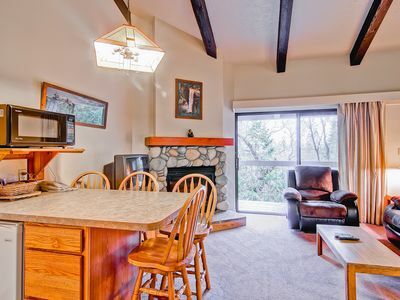 We offer the entire home as a vacation rental between May 1 and October 31 each year. 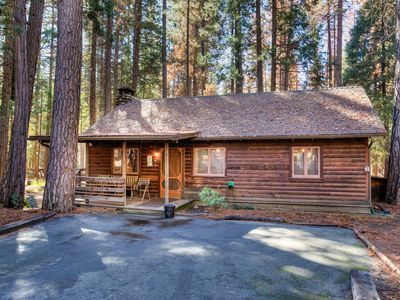 During this time the lodge is suitable for couples, families and executive retreats for up to 8 people. 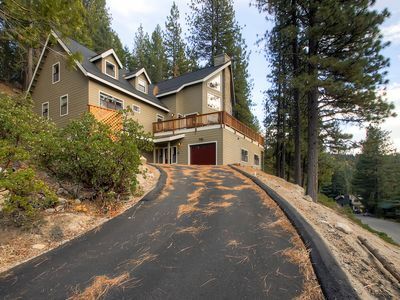 Unusual for most homes in the Yosemite West community, the Peregrine Lodge is situated on a rather level area. This means you do not have to negotiate the steep stairs that earmark many houses. Entering the home through a door on the same level as the parking, you will find easy access to the lodge and our guest rooms. We have guest parking for 3 midsize vehicles in driveway. We cannot accommodate RVs in the winter due to snow and ice conditions. Each bedroom has both interior and exterior entries. They each have their own sink and shower, entry to their own private deck area, and a unique and beautiful floor to ceiling fireplace. One of the bedrooms even has a jet tub. Our unique and cozy rooms are thematic in nature. The Peregrine Lodge is regarded as a quiet escape and romantic getaway for most of our guests, and we work hard to foster that environment. Therefore, it is not an appropriate place for children under 14. Persons who are not registered guests are not permitted on the property. Our guests do not have visitation rights. 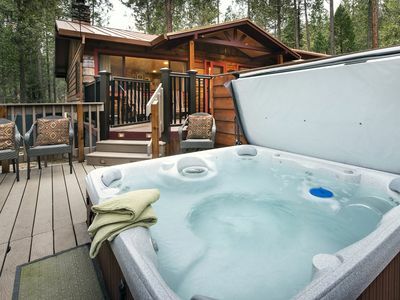 Lodgepole furniture and a queen size bed, floor to ceiling fireplace with touches of native american art, and more. This room has our king size bed. 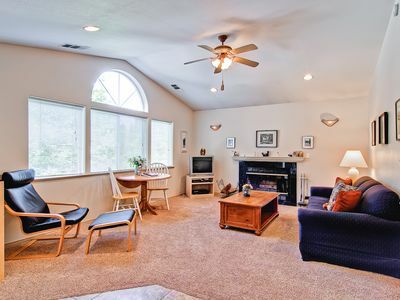 The rock fireplace also features aspen trees, thematic art and more. Our largest room with a queen bed custom rock fireplace featuring Dogwood trees, thematic art, and more. * Please note we have a max occupancy of 2 persons per room. The main floor is closed to visitors between October 31, and May 1 each year. There are no laundry facilities at the lodge. However there is a convenient laundry mat at the condos a short walking distance one block away. We provide a coffee pot with coffee and tea, sugar and creamer. There is small refrigerator in the room for snacks. There is absolutely no cooking allowed in the rooms. Hot pans, electric skittles, or other means of cooking stoves or appliance is not allowed. 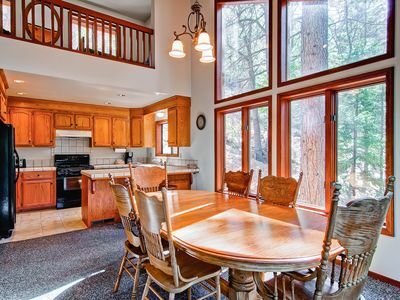 There are, markets, cafeterias, coffee shops, and restaurants located in the valley just 20 minutes away by car from the lodge. We provide satellite TV and DVD players in each bedroom. There are also books and board games available. Due to our remote location, and winter conditions we do not offer wifi in the winter. There is wifi available in the valley at multiple locations. 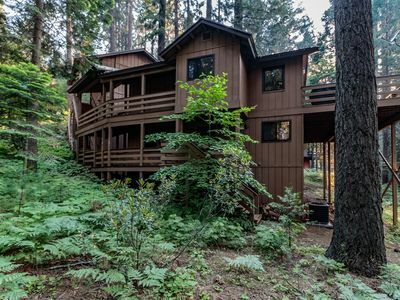 Yosemite West is in the heart of the wilderness. There are no close towns or businesses. 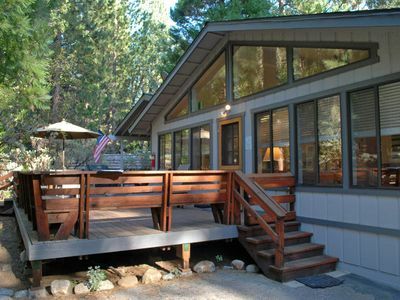 Many vacation homes in our community have owners or managers many miles away. 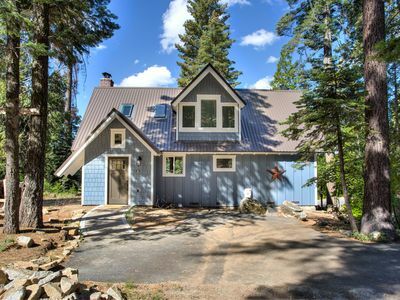 Basic issues like plumbing, snow removal, power outages or maintenance could ruin your vacation. You will find peace of mind knowing that one of the owners are on site during the busy summer months, and winter storms. David is available at the office on the property, and manages a couple of other lodges in the park. Whether outside the park on errands or at the lodge, either way he is just a call or text away if you need him. David can also help you plan the best way to see the Park should you desire advice or directions. David maintains a discreet presence allowing his guests all the privacy they require. 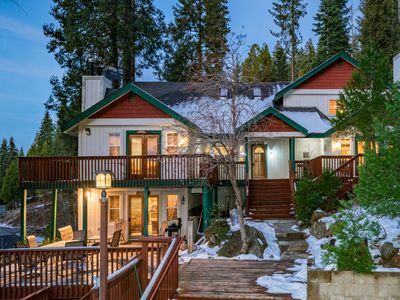 This is an ideal home for those who are seeking upscale cozy winter accommodations inside Yosemite. 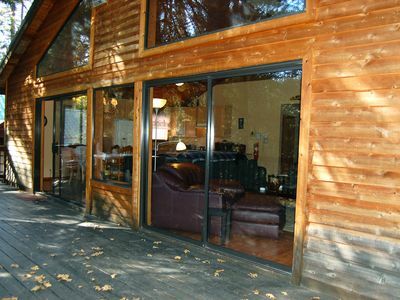 Creekside Cabin - Get Your Nature On! 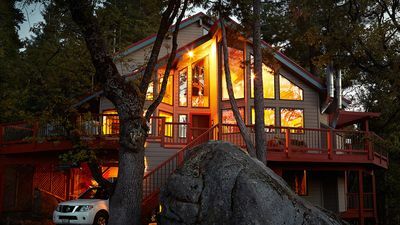 Big Cedar - Central Air Conditioning and Heating! Inside Yosemite N.P. 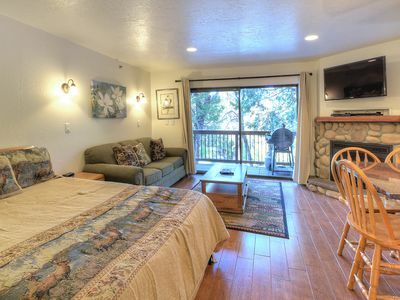 Gates!, Our Cozy Rooms Are Minutes From Valley Attractions.